Purchasing a new church for any congregation is extremely exciting. Seeing God bless with the visions of a new church building is a joy felt by the whole congregation. But then the nitty gritty of getting the money creates a road block that is part of the journey. Each church goes through its own path. CLA’s desire is to help facilitate the process. Our passion is to find the best source of money to help the church purchase their new building. Lenders view the process very differently. Some lenders view church lending as a specialized niche and others view it as a ministry. We work to match the best lender to each client. Church loans are considered religious commercial real estate mortgages for worship organizations to finance facilities. While each commercial real estate transaction is unique by its nature, church loans add a distinctive set of issues to compound the process. CLA works with churches to communicate the issues of the application process, underwriting issues and many other matters that are unique to your church loan. One issue is the way lenders look at the property the church is buying. A church is considered a specialized single-purpose building. 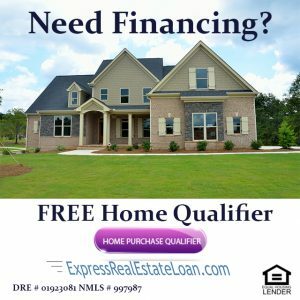 The lender assesses the value of the property to resell if they have to foreclose on the loan. This makes it a high risk when it comes to resale and a recapture of principal for the lender. CLA works with the lender to see all the values of the property to help them feel comfortable with the risk. This is just one of the skill sets we help our church clients achieve the goal of a quality real estate loan. The CLA church loan team works with a church from the application process all the way through to funds delivered at escrow. We will work with your leadership, church committees, task force members, board members and the whole church. We can help supply numbers, graphs, and other material needed for your organization to process the mortgage journey. The journey to your new church begins with a free consultation with the CLA team to see how we can help. Just fill out the form or email us or call Dan Parisi personally at his cell 916 276 8482.